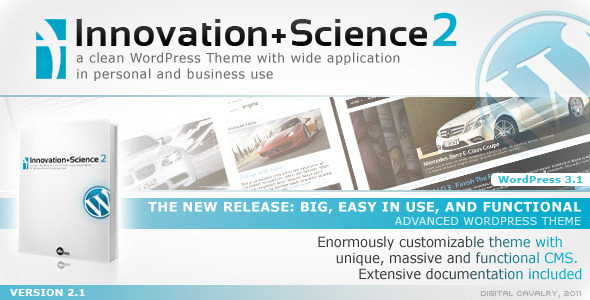 Innovation + Science 2 is a "clean WordPress theme with wide application in personal and business use." It boasts a CMS style backend with extensive documentation. It's made in the clean magazine style.